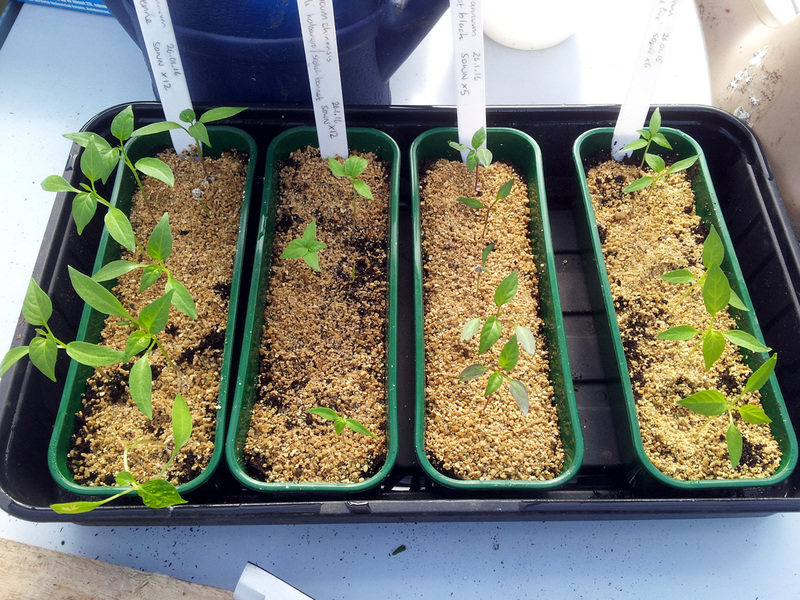 Last weekend I decided the time had come to pot on this year’s successfully germinated Chilli seeds. 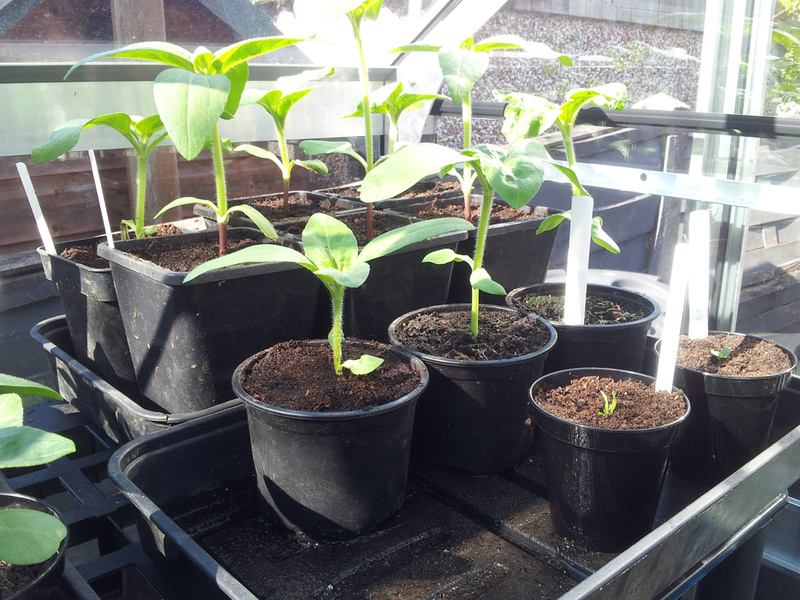 it being around six weeks since I sowed them. 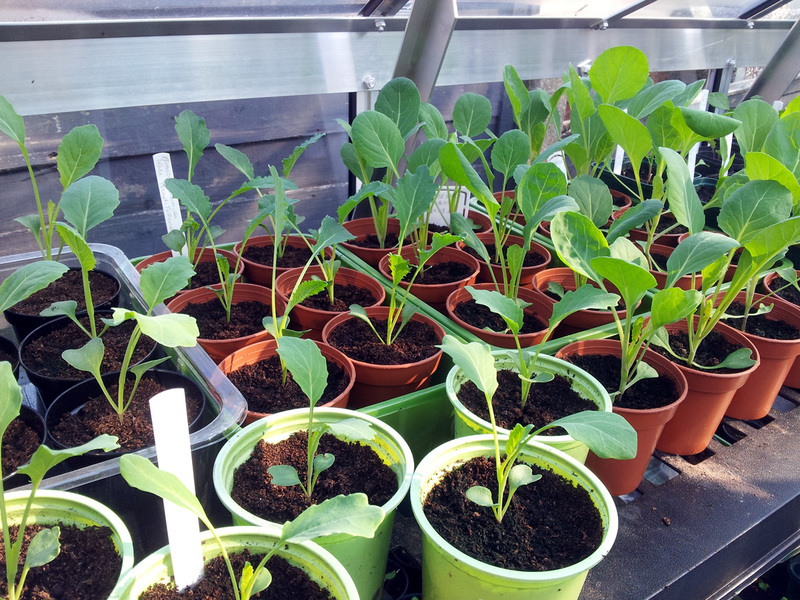 Not all had germinated but I wasn’t expecting a 100% hit rate, so I wasn’t at all disappointed by the tally of 17 viable seedlings. I’d already half-filled a sufficient number of 7cm(ish) pots with general purpose compost, soaked it and left it to warm in the greenhouse. 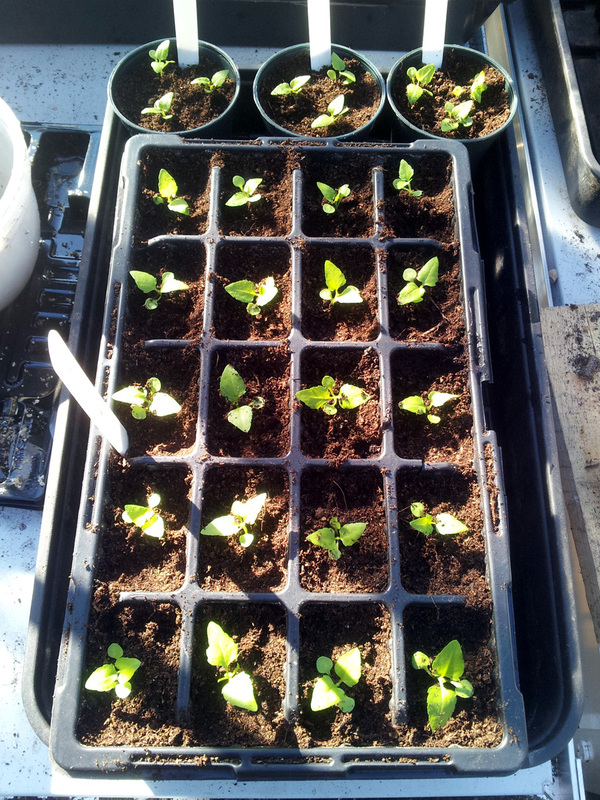 The next job was to get the chilli seedlings from their trays to the pots. 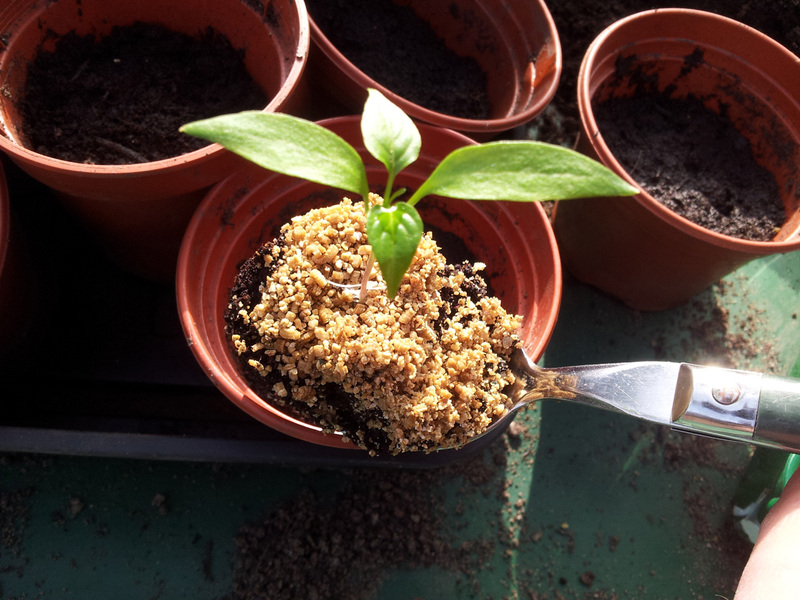 My tool of choice for that job is an old dessert spoon, which allows a good scoop of compost around the base of the seedling to be lifted in one piece. 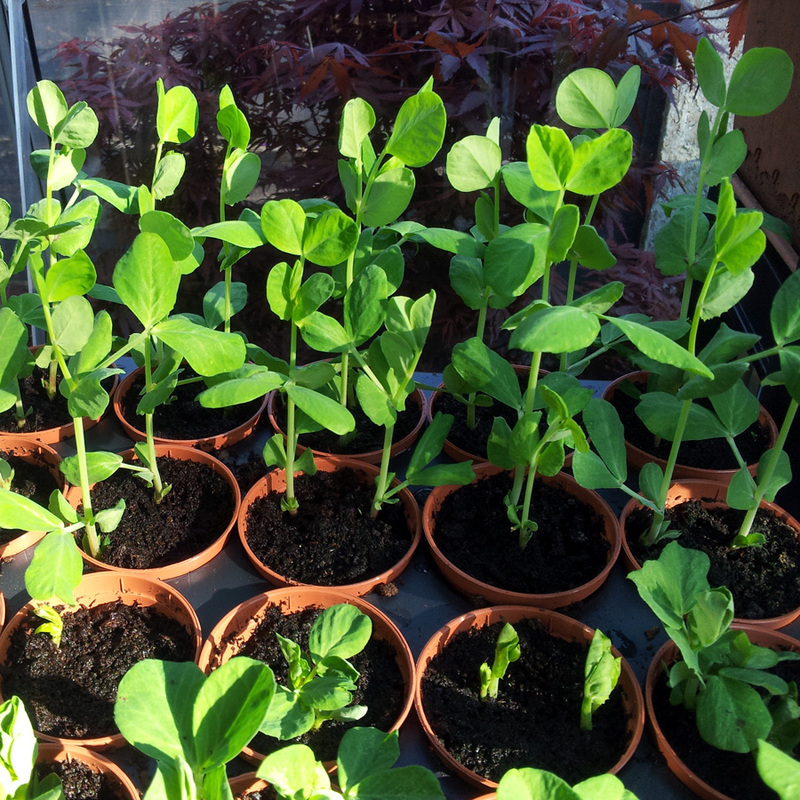 This helps to minimise damage to the incredibly delicate roots – and the even more fragile, microscopic root hairs – that are so essential to the health of the plant. 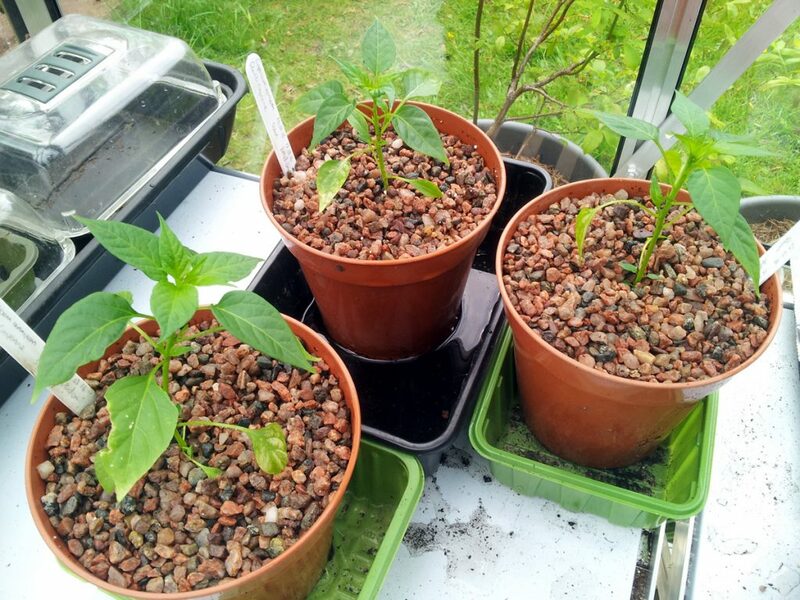 Once all 17 (7x Cayenne, 5x Prairie Fire, 3x Pot Black and 2x Habanero / Scotch Bonnet) were safely potted up, topped up with compost and watered in, they went back into the Vitopod propagator – set to a balmy 20°C to bring them within the optimal temperature range for photosynthesis – to grow on. 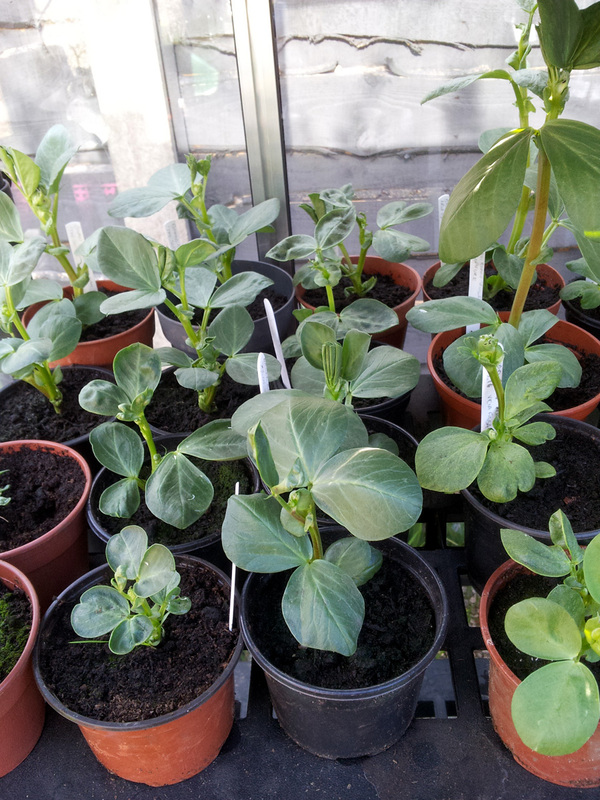 They’ll be moved to the greenhouse in another couple of weeks (some maybe a little sooner if we need the space to germinate more seeds) but it’s a little too chilly in there overnight just yet. 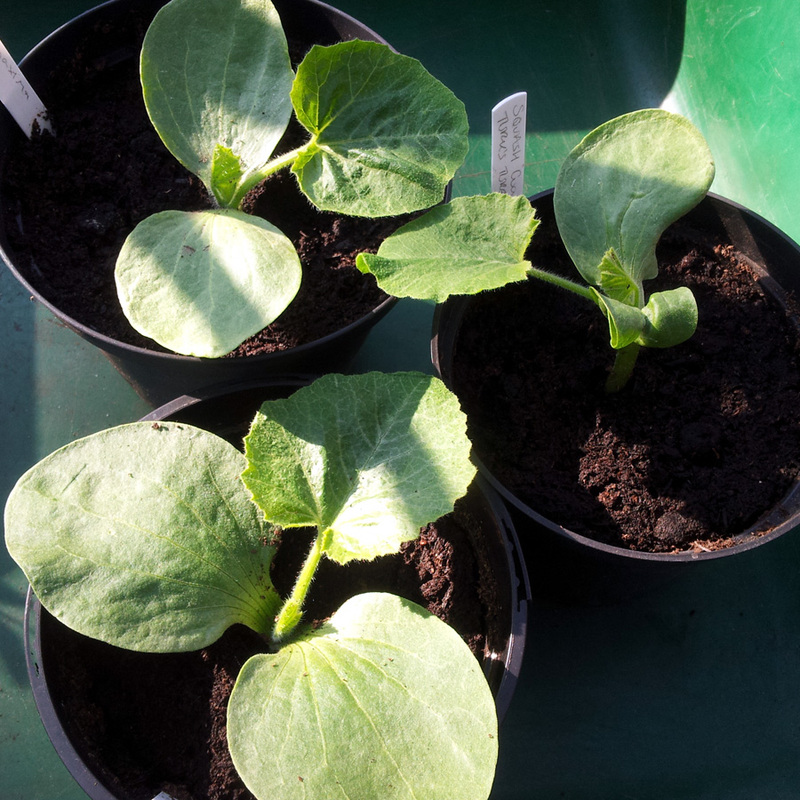 They seem to be doing quite nicely back in the Vitopod: a few of them have started putting out a second pair of true leaves. 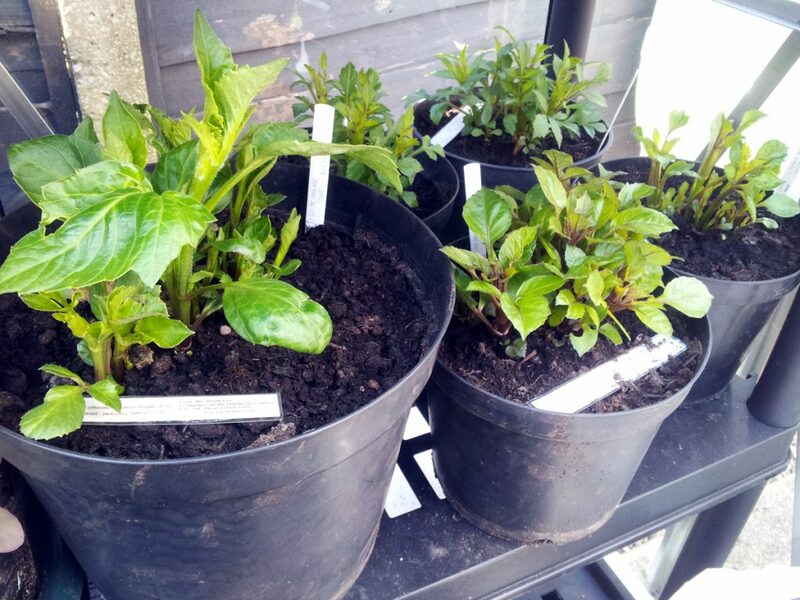 When they’re big and strong enough – around 12 to 15cm tall, with five or six good leaf pairs – they’ll be re-potted again into 15cm pots. 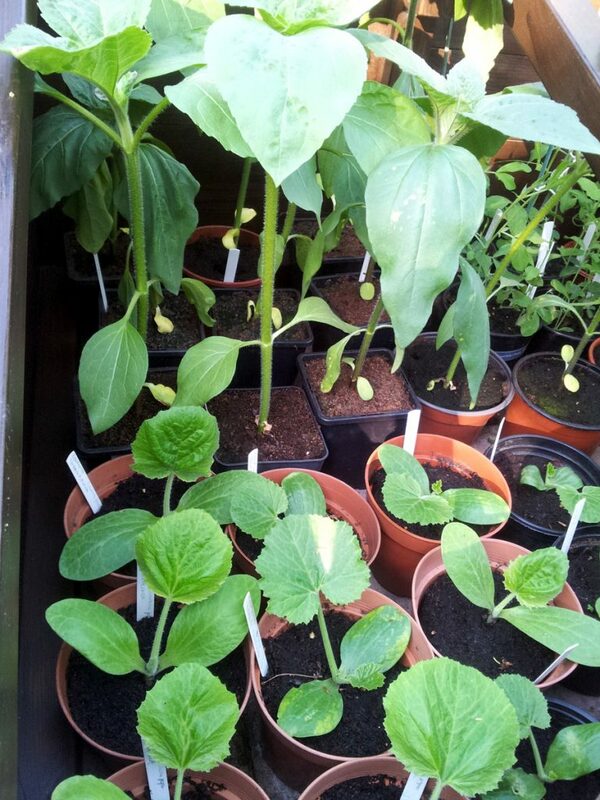 The best three (hopefully of the more interesting varieties) will then be put in the Chilligrow containers. 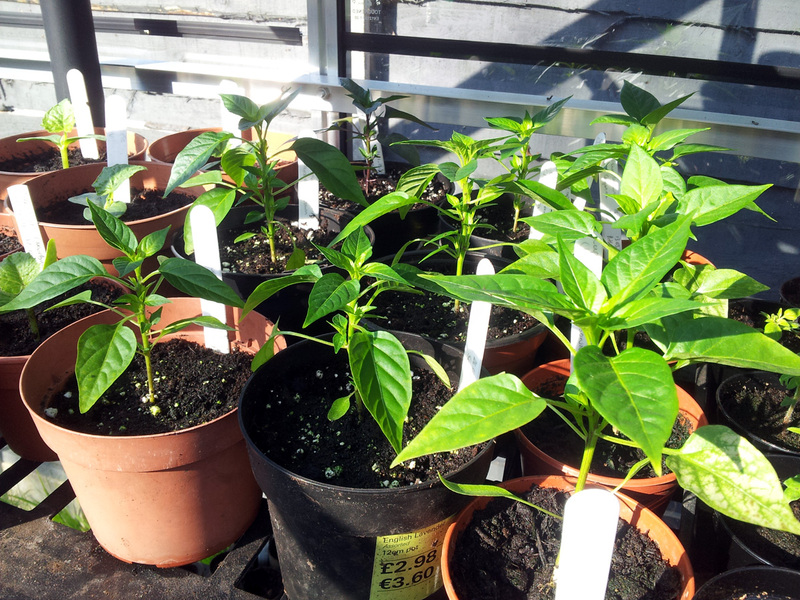 It’s going to be a bumper year for Capsicum, with any luck. 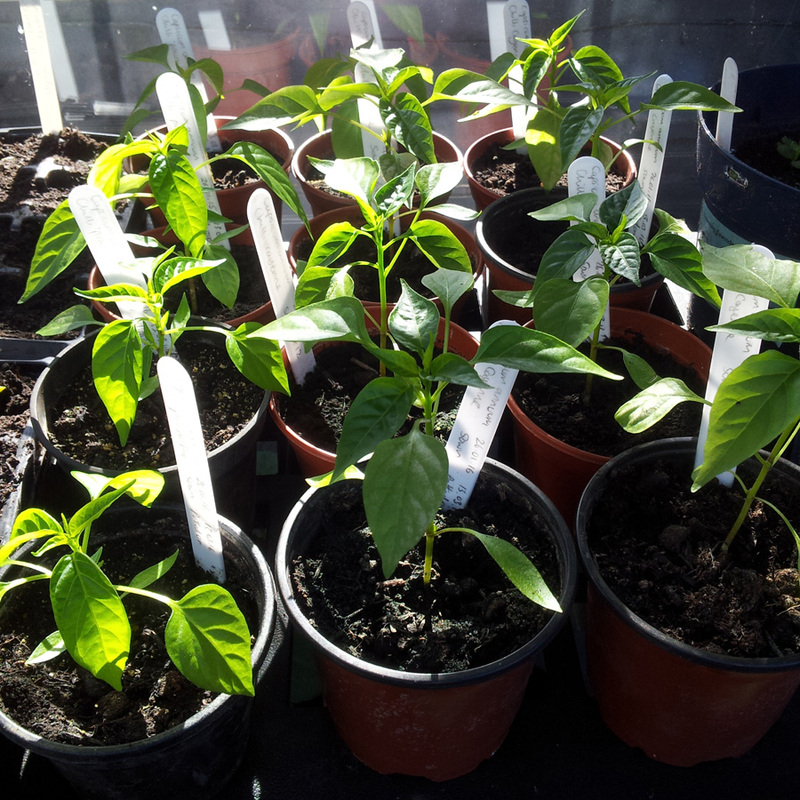 Anyone know a good recipe for chilli dipping sauce? 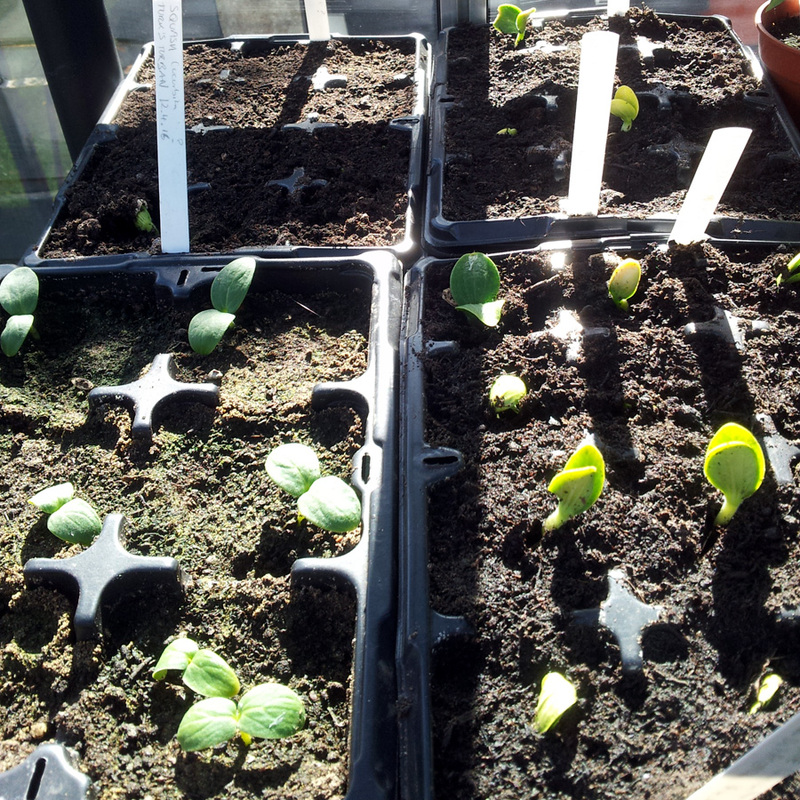 Always one of my favourite moments of the growing season: the appearance of the first seedlings of the year. 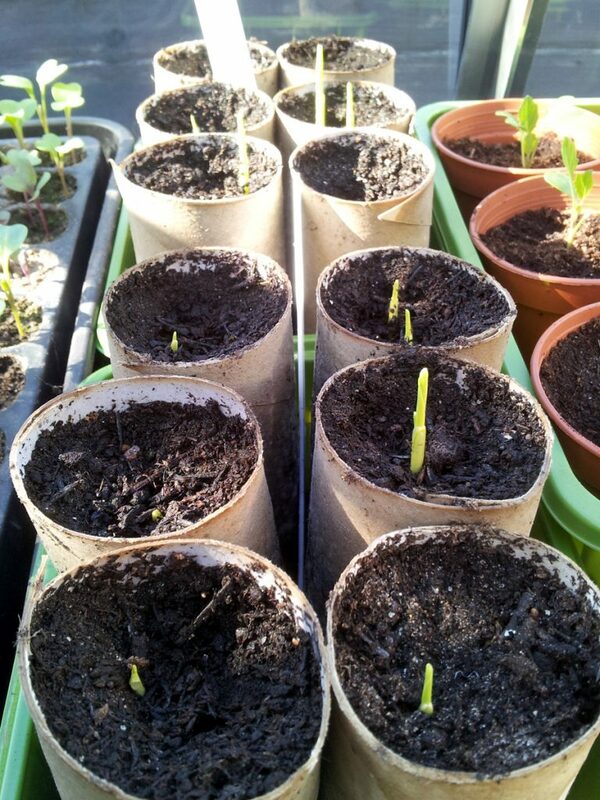 A small start, but so much promise of harvests to come. 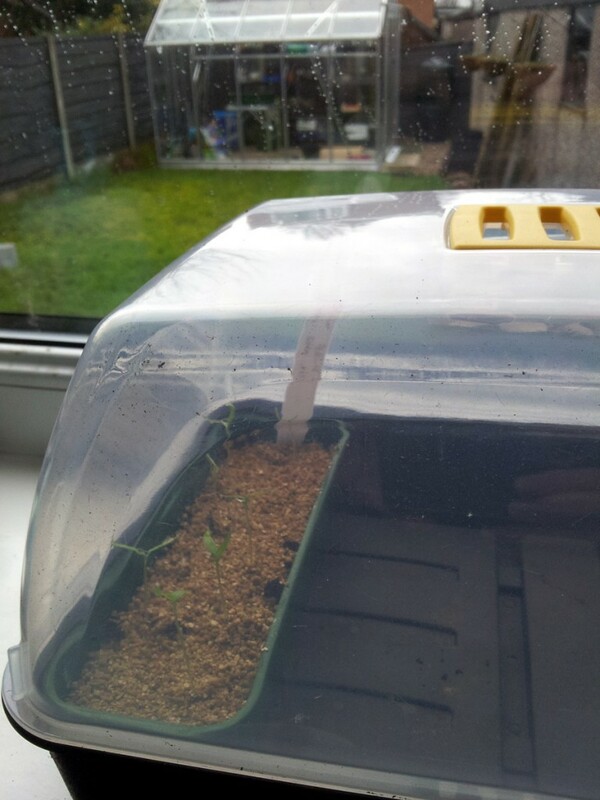 Here we have germination from seven of the twelve cayenne chilli seeds that I sowed on January 26th. 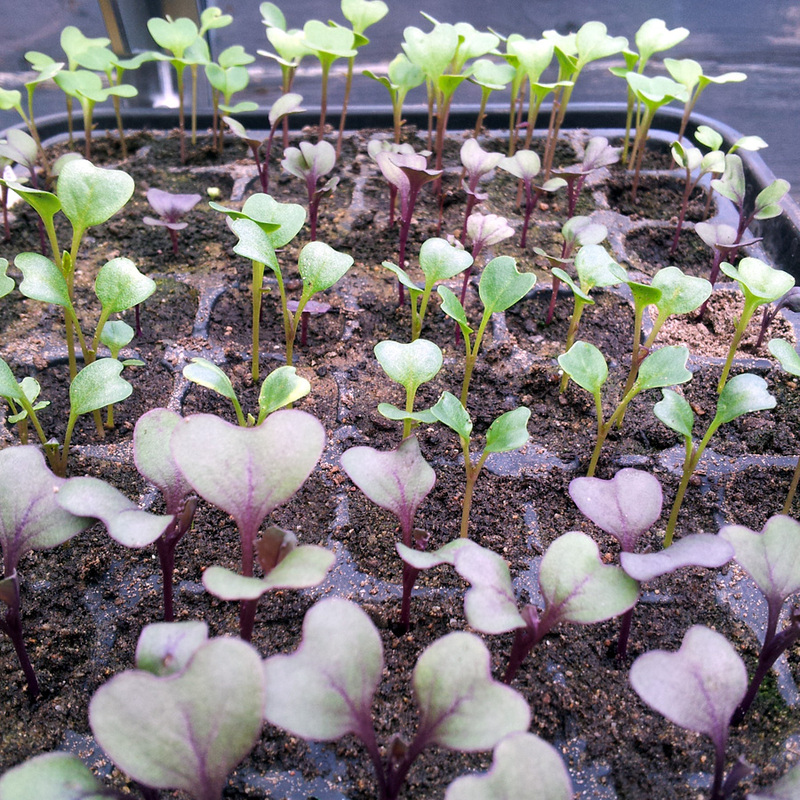 They’re about three days above-ground in this pic, which means they germinated in around (does sums in head…) ten days in our Vitopod heated propagator. 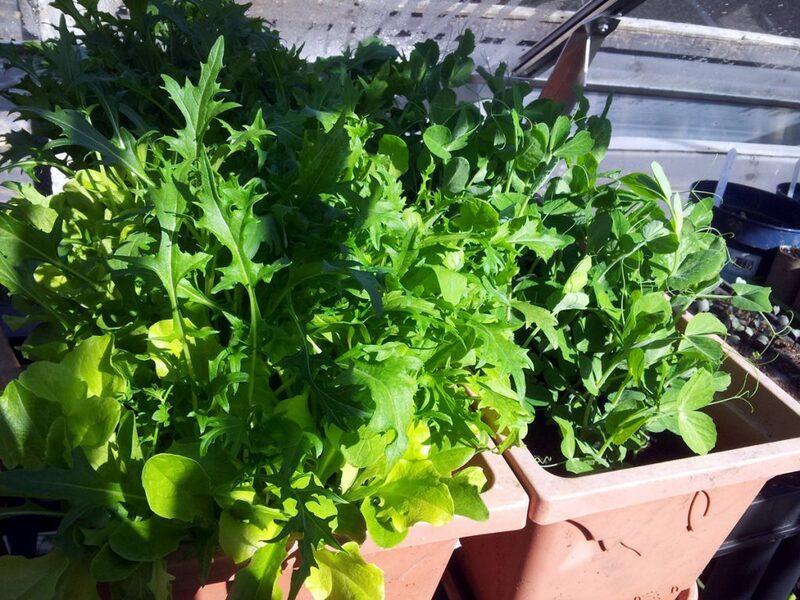 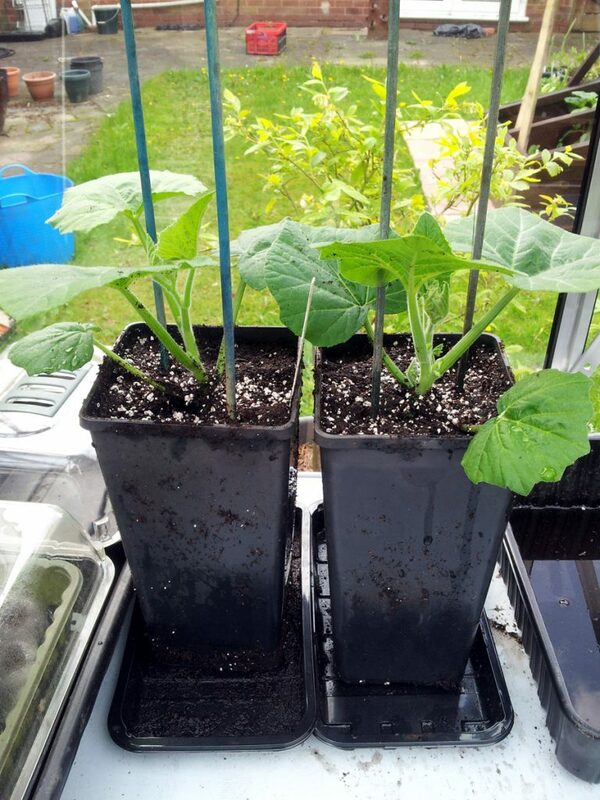 As you can see, I’ve taken them out of said heated unit (seven plants should be more than enough) and transferred them to a vented, un-heated propagato: just a lid on top of a standard seed tray, on our north-west-facing kitchen window-sill. 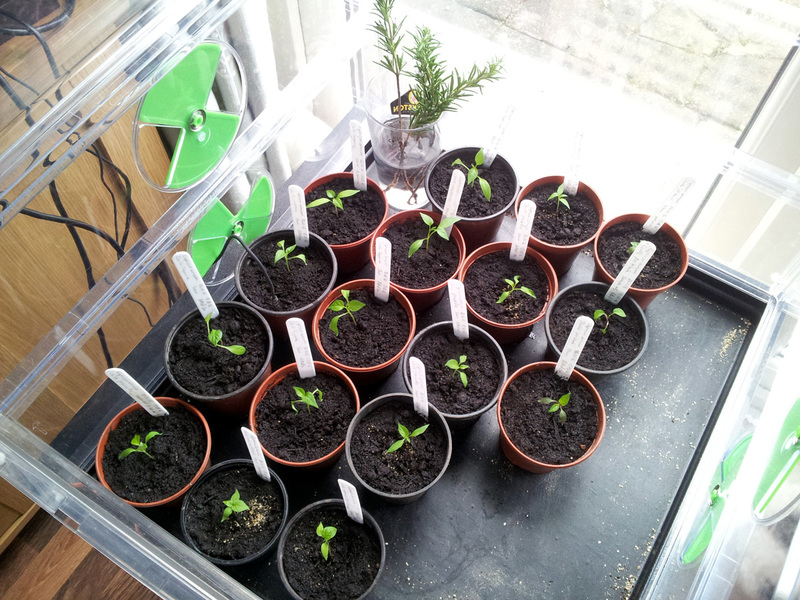 Two reasons for doing so: firstly to (hopefully) avoid these seedlings from damping off in the humid atmosphere, and secondly so I could whack up the heat in the Vitopod to 24°C in order to give the three slower-germinating varieties of chilli – pot black, prairie fire and habanero / scotch bonnet – a bit of a boost. 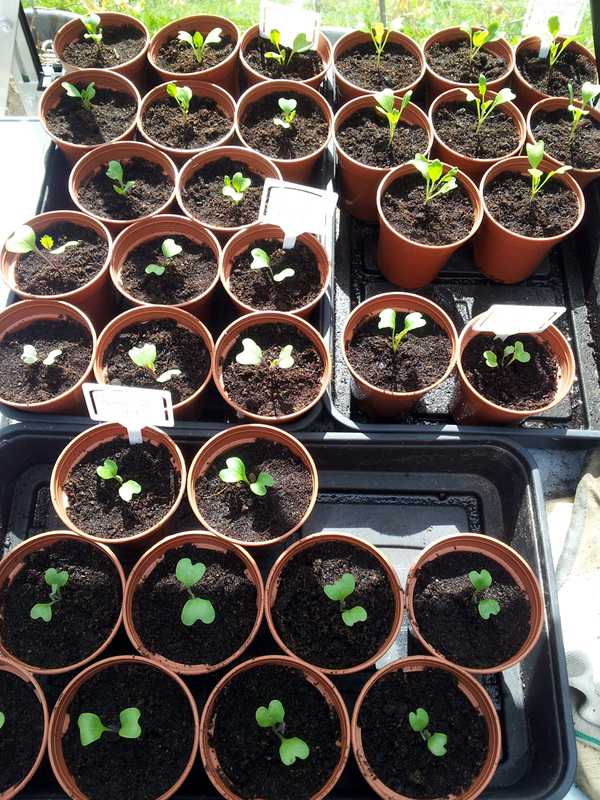 (It worked, by the way, as there are now tiny seedlings showing in all three trays). 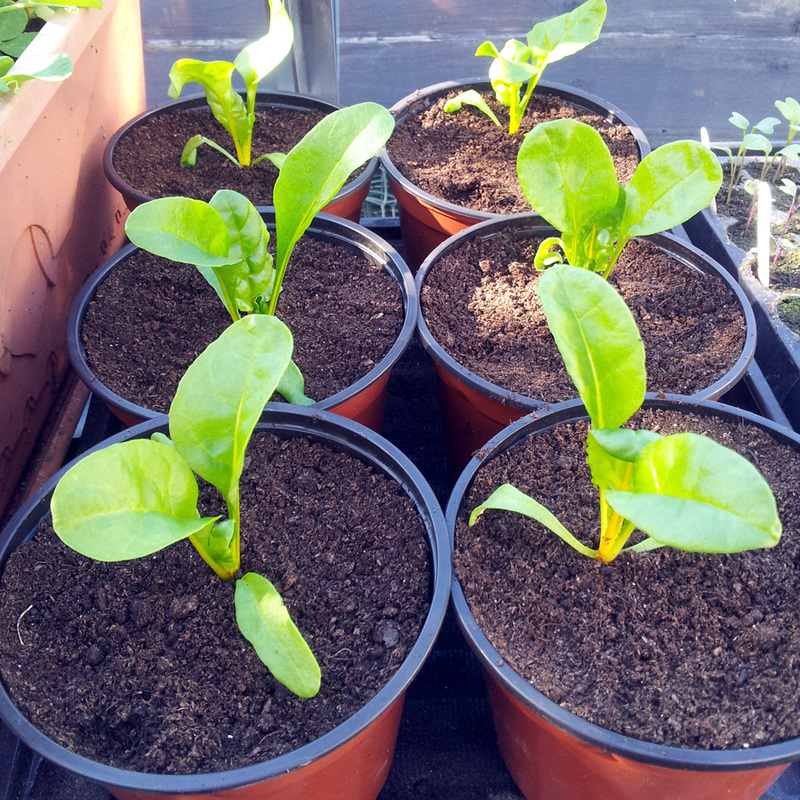 Once the cayenne seedlings are large enough to safely handle, I’ll prick them out and pot them up in individual small pots of compost, then pot them on again a time or two and move them to the greenhouse, before deciding on their final growing position. 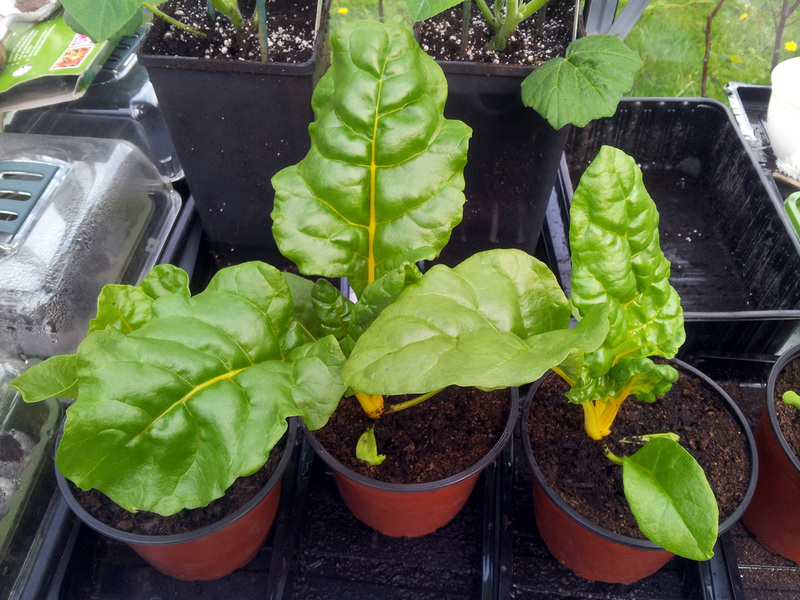 I suspect that the three-pot Chilligrow planter will be reserved for the more interesting varieties, depending on how they do, so these cayenne might end up in pots in the greenhouse, or wall-baskets in a sunny spot somewhere. 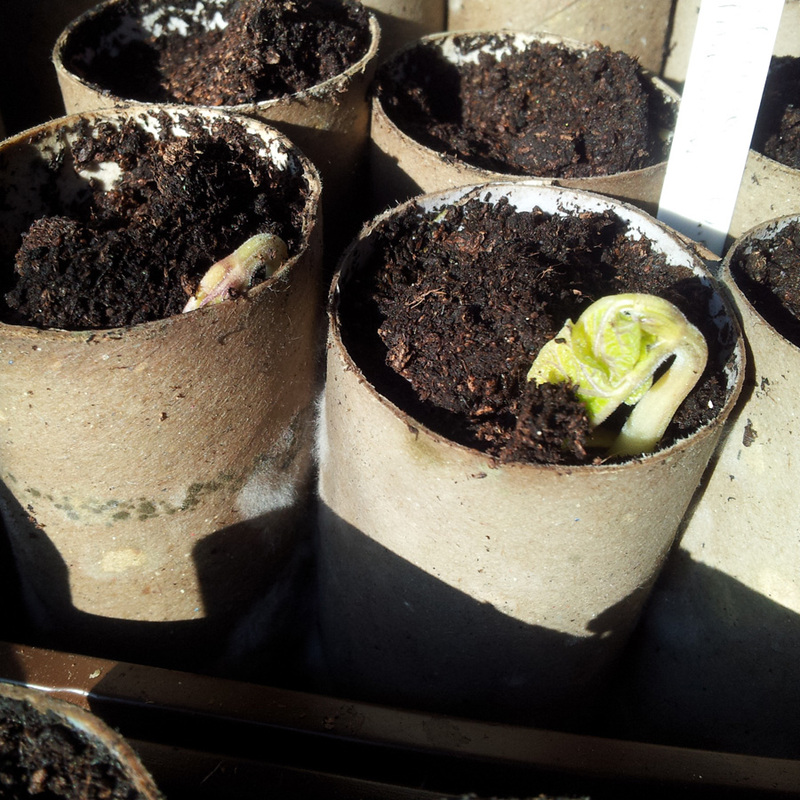 I’ll post more pics and updates as things develop.